Attracting new talent and investing in skills for the future is key to the continued success of our business, however the search for talent is one of the biggest challenges Nestlé and other UK food and drink manufacturers face today. We are the single largest manufacturing sector in the UK with 1 in 7 people employed in the food and grocery industry. Yet, the industry is currently relying on an ageing workforce to support growth, without a pipeline of young people that could potentially be managers and leaders for the future. At Nestlé more than 50% of our skilled manufacturing team will retire in the next 15 years. With youth unemployment steadily rising we all need to play our part in creating opportunities for the next generation. It is critical that we start to open up the manufacturing sector and our business to a new and a more diverse range of young talent, at the same time as plugging the gap between education and employment. This means as a business we not only need to raise greater awareness of the opportunities in the industry but also provide greater support to young people entering the industry. We have a responsibility as an employer to play a greater role in funding skills provision and helping to shape skills services to meet our future needs. We have already gone some way to meeting these challenges. Our Nestlé Academy programme is growing our own pipeline of high performing talent by offering a lifetime of learning to develop the future leaders of our business. The Academy offers flexible entry points – to attract young people at different life stages and we provide varied career development routes throughout our organisation as we all know there is not one set career path for individuals to follow. 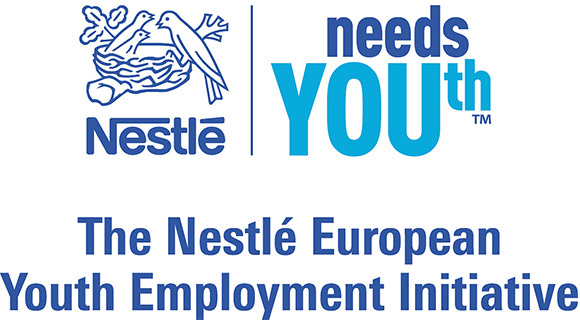 We are very proud of the progress we have made to date, but we know there is a lot more to do, so we have announced the launch of The Nestlé Youth Employment Initiative, which will create 1,900 employment opportunities in the UK and Ireland for young people over the next three years. This is part of a European wide commitment to helping at least 20,000 people across Europe under the age of 30 find employment by 2016. The Youth Employment Initiative will open up our business to young people with roles offered across all areas of our business and at all levels – from operators on the factory floor to field sales assistants and business management. Crucially we will also offer 300 paid work experience opportunities as part of this programme. Sadly young people in the UK and Ireland are stuck in a catch-22 situation. They can’t get a job without experience, but can’t get experience without a job. Companies need to help young people escape from this trap. As employers we value young people with experience, so we have to provide young people with enough opportunities to gain it. We will develop our work experience programme to give individuals real life, meaningful paid work experience that will add real value to both the individual and our organisation. Inspiring and supporting a new generation of talent is a personal passion for me. I am intent on driving this agenda forward in my capacity as Nestlé UK & Ireland CEO & Chairman, and also through my work as a UK Commissioner for Employment & Skills. I look forward to working with colleagues, the industry, education providers and Government to raise aspirations amongst young people within our own local communities, equipping them with employability skills and strengthening our talent pool for the future. Nestle is a company I like very much, not only because it has many nice products but also its contribution to the society and environment. It has the cooperation culture I admire.